Something brand new and just a little bit edgy is planning to shake up Sundays in Ibiza during summer 2015. 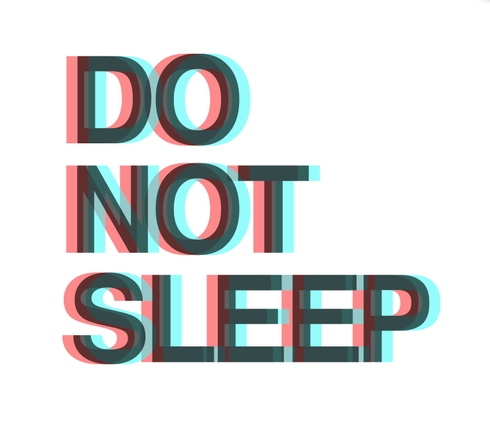 Do Not Sleep is the name and Vista is the club, located within the grounds of Privilege, between San Antonio and Playa den Bossa. 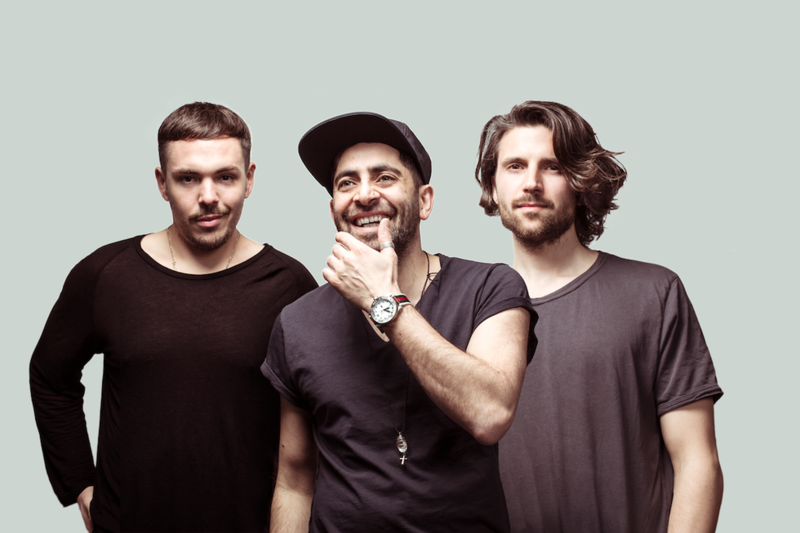 Each Sunday will feature Ibiza residents – Darius Syrossian, Santé and Sidney Charles - who will all play alongside weekly guests where the focus is on showcasing unique back to back sets. 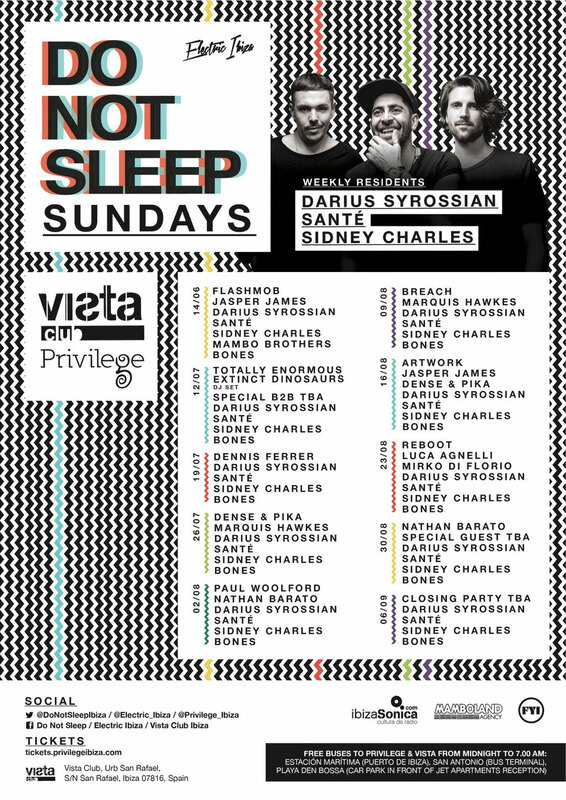 This new underground party first emerged on 29 May (as a one off Friday party) when Do Not Sleep hosted Vista Club at Privilege’s opening fiesta. At the heart of each night will be residents Darius Syrossian, Santé and Sidney Charles, who release tough, no frills house and tech on labels like Sante’s AVOTRE, Our Rhythm and I’m A House Gangster, and have releases scheduled on Hot Creations and Adam Beyer’s Drumcode imprint later this summer. Their residency commences at Vista Club on Sunday 12 July and will run every Sunday throughout the summer with special guests. Preceding that the trio will be spinning at Vista Club on 14 June as a welcoming gathering for the Do Not Sleep crew. To complement the Vista Club lineups, the club has installed the brand new Pure Groove sound system, which ‘delivers a more powerful, pure and defined sound so audiences can experience sound the way it is meant to be heard and is also the greener choice too.’ Designed by audio pioneer, Tom Danley, former Director of Electroacoustic Research with NASA, his designs apparently make for a louder, clearer and more precise sound than ever before.